You only have to look at the number and sheer diversity of the Google Play Store’s app hub to gauge how many developers are currently working on creating, updating and improving upon the vast array of mobile apps that have manifested over the past few years. The Big G announced all the way back in 2013 that it was working on an Integrated Development Environment (IDE), an infrastructure designed to enhance and improve the process of developing apps, and now, Android Studio 1.0 is ready for prime time for those running Windows, OS X and Linux. Full details, as well as info on how you can get started with Android Studio, can be seen below. As time progresses, apps are improving exponentially, and the credit must go to those creating said apps. But the likes of Google and Apple recognize that refining the process of app development is important groundwork to a thriving ecosystem, and with Apple having announced the Objective-C-based Swift coding language alongside the iPhone 6 / 6 Plus back in September, Google’s Android Studio is an even more significant inroad in the ongoing battle of the platforms. 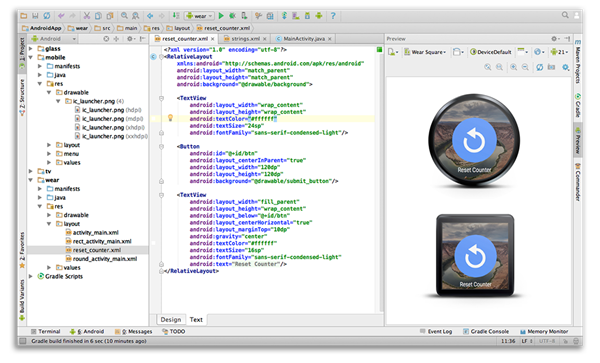 In short, Android Studio is official IDE for Android development, and is a full replacement for Eclipse, just like Xcode is for iOS and Mac development and Visual Studio is for Windows development. On first run, it’ll install the necessary Android SDK as well as development environment settings, and will prepare an emulator for testing purposes. The idea, as you may have gleaned, is to create a seamless process that allows a developer to focus more attention on the app, and given that Android Studio also includes a bunch of templates, should make it much easier for new developers to get started. Devs can import Google code or start afresh with the templates, and once you’re fully immersed in the coding part of app development, Android Studio offers a broad range of tools and settings to simplify the experience. From intelligent code editing based around IntelliJ IDEA to string translations, creating an Android app should be a much more fluid, painless experience thanks to the new suite. 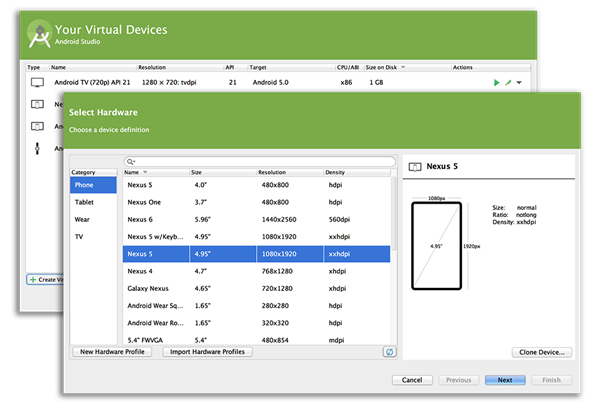 Android is very fragmented, as we know, and so Android Studio allows devs to preview and edit layouts through differing screen sizes, languages and API versions. This is a golden tool that will permit developers to cater to the numerous devices and Android versions popular at any given moment, and with Google Cloud feature integration also being a major component of Android Studio 1.0, this is a landmark day in the show-reel of the search company’s mobile OS. 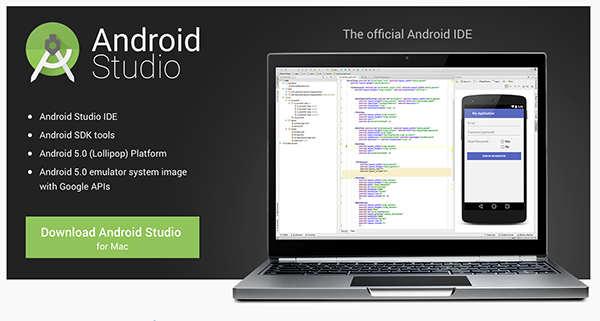 You can avail Android Studio from the Android Developer site, by going here. If only xcode was a cross platform iOS IDE. Too bad you should have a Mac for iOS development.